Yesterday on my way to work, I was rear-ended while driving with tens of thousands of other drivers during the morning rush-hour on I-65 headed toward downtown Nashville. I was not hurt. And, amazingly, there was NO damage to my vehicle. The other guy’s vehicle wasn’t so lucky, however. So, there I was, in the next-to-the-fastest lane (2nd from the left), and most of the way I had the same big silver-colored monster-SUV behind me. Most of the way the middle-aged male driver was keeping a fair distance behind me, in preparation for the constant stop & go pattern we were all faced with on this morning. By stop & go, I mean 60-70 mph for a good mile or two, then down to a drastic 10-15 mph all of a sudden in order to accommodate merging traffic at every major interchange, AND reckless drivers who were eager own the road and get where they were going faster than we were allowing them to go. I don’t know if Mr. Big SUV Man behind me just took his eyes off the road for a second, or what, but after our 3rd or 4th bout with the stop & go’s, he didn’t notice fast enough that this time I was really STOPPED, and he subsequently slammed into my backside. 1. Run, do not walk, to your nearest auto dealership, U-Haul, or mechanics shop and have a trailer hitch installed on your vehicle! I base this not JUST on my own experience, but on the experience of the ONLY three other people I’ve discussed this accident with… ALL of them said they had been in similar situations once, where it was trailer hitch that ultimately saved their cars from any damage and only damaged the car that hit them. That’s 100% of the people who at this very moment know about my accident! 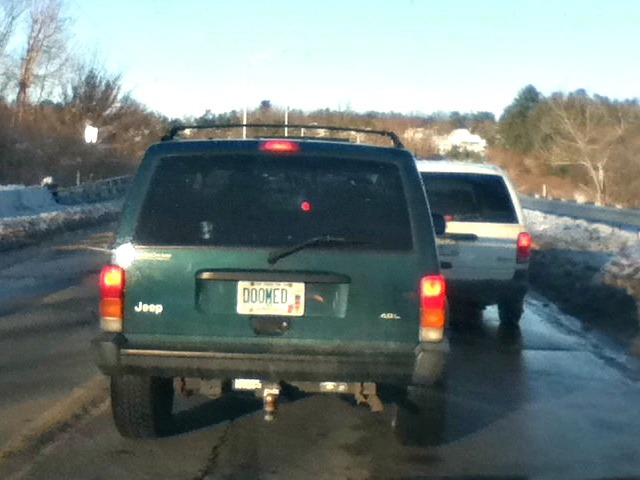 There are no better odds as to the effectiveness of a trailer hitch in rear-end auto accidents, right?! 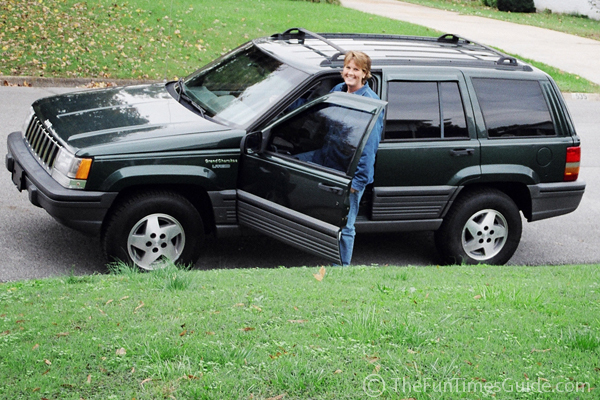 UPDATE 8/23/05: Small world… a big honkin’ SUV merged into the lane next to me on I-65 this morning, and I noticed it was none other than my friend with the formerly punctured front grille! I’m happy to report that his grille now looks fine… and the vehicle appears good as new!